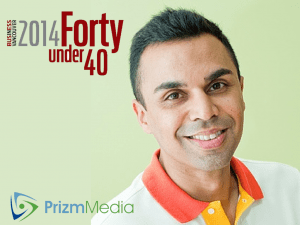 From College Creation to Leading Health Marketing/Tech Firm: “Prizm” Pioneer Zeeshan Hayat lands on BIV “Forty Under 40” list. 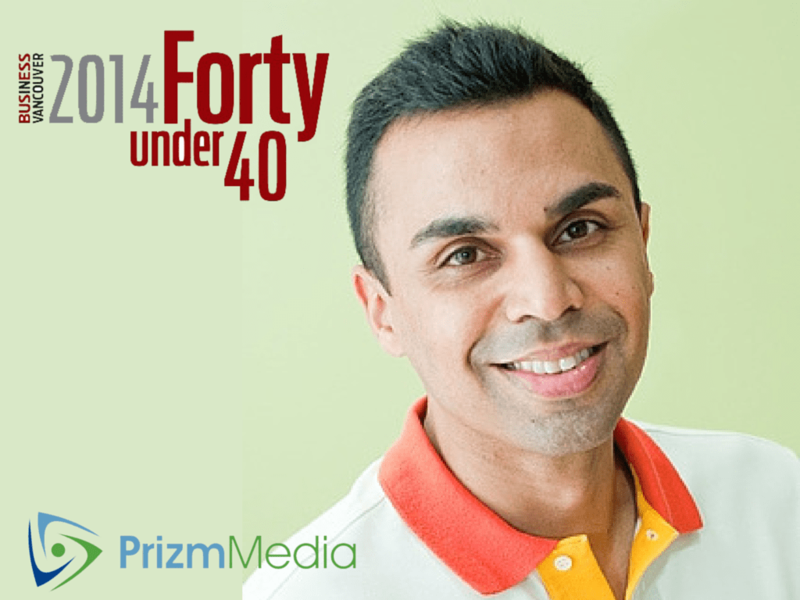 - Prizm Media Inc.
From College Creation to Leading Health Marketing/Tech Firm: “Prizm” Pioneer Zeeshan Hayat lands on BIV “Forty Under 40” list. Zeeshan Hayat, the CEO and Co-Founder of Prizm Media Inc. (recently recognized as Canada’s 52nd Fastest Growing Company by PROFIT 500) received even more good news last week, as he was selected by Business in Vancouver for their 24th annual “Forty Under 40” list. Each year, Business in Vancouver celebrates the success of BC’s young entrepreneurs, executives, and professionals by compiling a list of 40 exceptional individuals under the age of 40. According to Business in Vancouver, these individuals have demonstrated excellence in “business, judgment, leadership, and community contributions,” all of which are wholly representative of Zeeshan’s leadership style. Zeeshan co-founded Prizm Media, a Vancouver-based lead generation and technology firm, in 2001 while still in college. He has since managed to turn his part-time project into one of the country’s fastest growing companies, with an incredible five-year growth of 1285%. Receiving this award is a testament not only to Zeeshan’s strength as a leader, but to his unwavering commitment to successfully helping his clients reach their sales targets through compliant and strategic lead generation services and technology. In addition to being recognized by PROFIT 500 as Canada’s 52nd fastest growing company, Prizm Media co-founder (and Zeeshan’s wife) Karina Hayat was also recently recognized as one of Canada’s Top Female Entrepreneurs by the PROFIT W100 list. Prizm Media Inc. is a full-service lead generation and technology firm that helps companies accelerate sales cycles through effective and compliant performance-based marketing initiatives. The company caters to the mail order medical supply, healthcare, wellness, pharmaceutical, and durable medical equipment industries in US and Canada. With over a decade in business, Prizm Media Inc. has grown to be a leader in traditional and online lead generation for the health care industry. Headquartered in Vancouver, British Columbia, Canada, Prizm Media Inc. supplies over 50,000 leads monthly for the health care vertical. Since 1989, BIV has been part of Vancouver’s business community providing useful information to help keep readers ahead of their competition. Ranked business lists of B.C.’s companies and the people who lead them provide insight into the biggest and most successful companies by industry. Business in Vancouver Magazines are industry specific annual publications and are delivered to subscribers and targeted groups. Business in Vancouver is published by BIV Media Group, a division of Glacier Media.